My job is to help your business connect with more of the right customers, online and in the real world. Whether you're hoping to turn your hobby into a side hustle, launch an e-commerce site, or attract new and qualified prospects to your existing brand, I'm here to give you the strategies, formulas, and tools to make it happen. For as long as I can remember, I've loved teaching and creating. I started out as an academic historian at the Universities of Toronto and Cambridge, researching, writing, traveling, and sharing my passion for the past. In 2011 I arrived in Australia and spent another few years teaching various World History and Public Writing courses at Griffith University, UTS, and UNSW. That move to Aus also sparked my entree into the world of hobby blogging and social media. The Spring Blog (which is no more) kept me connected to my friends back home and introduced me to a whole new group of web savvy women who completely changed my perspective on what was possible as I sought to build a life and career that I loved. As I struggled to complete my PhD and looked ahead to an uncertain future of short-contract academic work, I found myself increasingly drawn to the seemingly unbounded potential represented by what was happening in the entrepreneurial, collaborative, self-confident blogging world. My friends were building powerful communities and launching profitable, creative businesses supported by them. But as I entered my thirties, it occurred to me that there was a fundamental choice to be made: either stay in a traditional workplace and compete for increasingly limited positions and resources... or get out there for myself, start a business, and create my own abundance. So I did just that. In early 2013 I launched The Spring Shop online. My little web store was stocked with a small, curated collection of stationary and food styling props that I'd noticed were hard to find in Queensland. 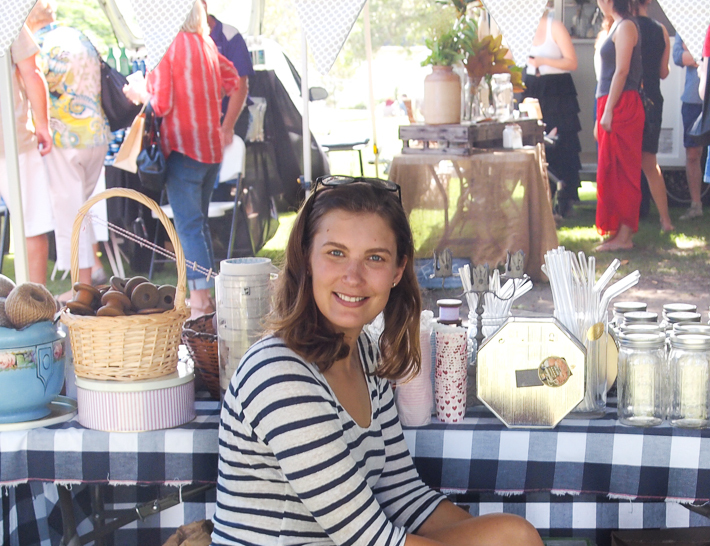 I set about growing my business through digital collaborations with local influencers and making regular appearances at market stalls and pop up events, where I met my customers face-to-face and benefited from really valuable, immediate feedback. From the outset I discovered real benefits of having trained as a historian, rather than having gone to business school. For one, I'm a natural curator of stories with a soft spot for nostalgia. It's so important for sellers to define and communicate why the objects they market are meaningful because consumers today are so invested in what the things we buy say about us, and so attuned to the narratives brands tap into to give their products or services significance. I also discovered that running a business is really tough. Especially in a growth phase, we're all working way more than 40 hours a week, wearing about a dozen different hats, and googling how to do every second thing. But if your mind is flexible, your business model is nimble, and you're open to being innovative, it's far easier to respond to all the challenges of small business. There's a lot you can control, and a lot you can't, but I often thought when I owned my stores, that business school might have instilled a more fixed set of approaches to business planning and development. I mightn't have asked for as much help from my friends. And in the end, it was the collaborative, creative responses to challenges that really set my brand apart and made customers and press from across the country take notice. 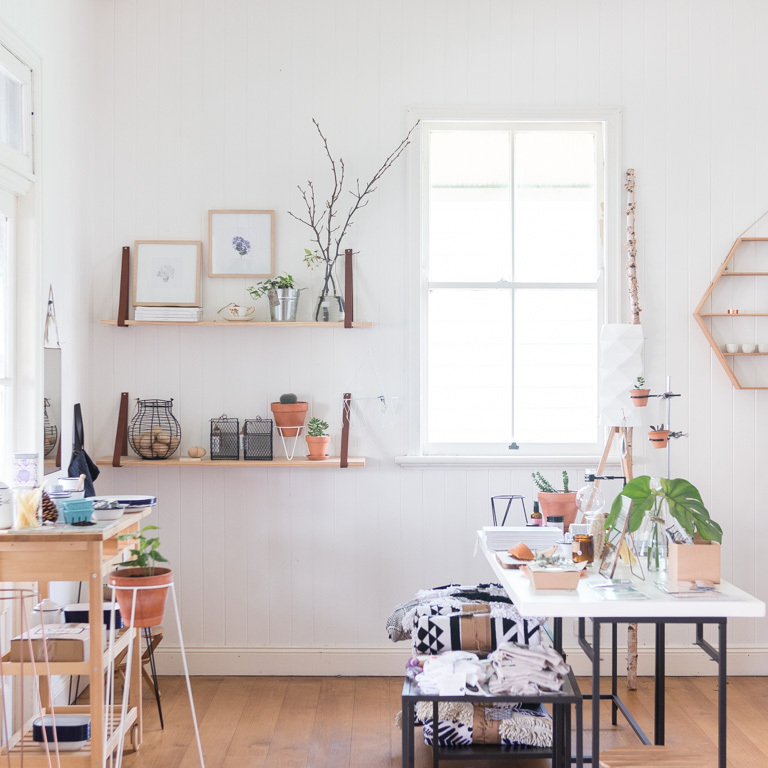 In May 2014, I opened Showroom, an innovative retail, event, and pop up space for local artisans housed in a beautiful hundred year old Queenslander. By bringing together a broad range of merchandise from popular web-based designers (plus some up and comers too), Showroom was the first boutique in Brisbane to offer customers the chance to source the coolest stuff from the web in the real world where they could see it, feel it, and even meet the person who made it. For me, Showroom was a retail laboratory where I got to play with ideas about how to bridge the gap between online and in-store by identifying the most compelling trends from each arena and experimenting with how they could enhance customer experience in the other. The following year I moved Showroom downtown, to a soaring, heritage-listed loft in the Brisbane CBD. 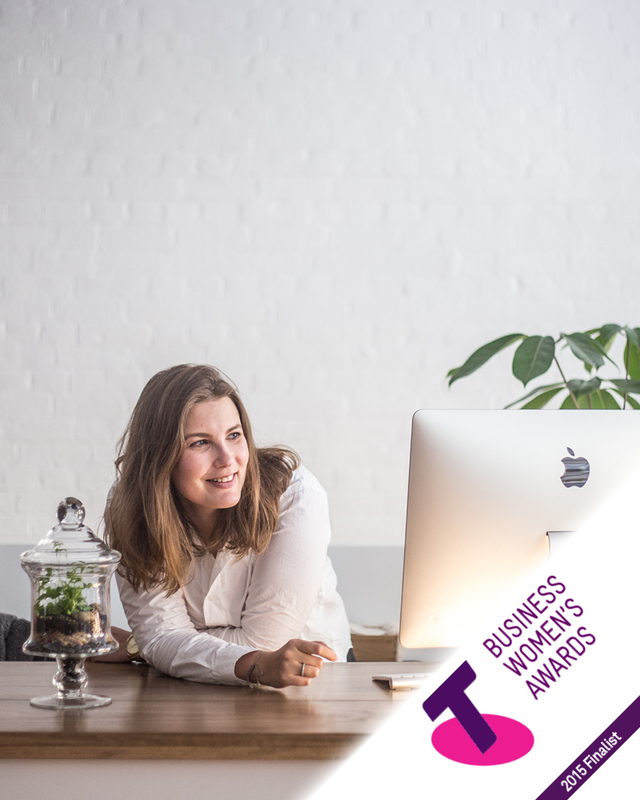 The store was featured in many magazines and blogs (including The Design Files) and I was honoured as a finalist at the Queensland Telstra Business Women's Awards in the start-up category, 2015. For me, the most gratifying aspect of running Showroom was the support and mentoring my team was able to give the emerging local makers who featured in the store. By offering help with business planning, product photography, content marketing, PR, pricing, and copy writing, the store functioned as an unofficial incubator for a host of artisans in the process of developing their crafts into viable, scalable brands. YCL Jewels is the proudest example of a now hugely successful business that got its start at Showroom... the sky really is the limit for Fabienne and her incredible company! Drawn in by the demand for affordable brand mentoring, I began running Creative Marketing Training Workshops at Showroom in partnership with my great friends, digital marketing guru Claire Deane and PR superstar Lani Pauli. Together we developed an educational platform to help adventurous small businesses and lean start-ups develop their brands and grow their following, both online and in the real world. We had a blast running dozens of workshops, speaking at conferences and gatherings, hosting networking events, and getting to dive into the stories of so many awesome business owners doing really impressive things. After 10 years abroad, I decided that 2016 was the year to return to my hometown of Toronto, Canada. Selling Showroom enabled me to do that and I'm thrilled to be settled back in this vibrant city. What a long, strange trip it's been! Now I'm harnessing all my experience, research, and the super-smart contributions of my expert collaborators to build on the business strategy and mentoring work that I became so passionately engaged in back in Aus. I believe that entrepreneurship is a deeply fulfilling path, but not if it constantly feels like you're having to reinvent the wheel. I also know that there are proven steps that business owners can take to make their brands stand out and shine. It's all about being collaborative, connective, selecting the customers who're perfect for you, and finding innovative ways to give them more value than they ever expected. If becoming a master of DIY self promotion sounds like it's going to be lot of extra work... I can tell you IS IT! But to be clear, there's a ton of data that tells us about the relative effectiveness of various marketing strategies... So while you may be confused about whether you should pay for Instagram ads or if there's any point to having a blog, I have real answers to those questions supported by proven research. That means I can help you focus you efforts to be maximally time-effective and budget conscious. That's why I've created blog posts, books, and courses to help you figure out what kind of business you want to build with a strategy you'll actually have time for. And I'll be there every step of the way, to ensure you feel capable and motivated. And as a fellow business owner, I know that's important. Because finding a way to go the extra mile to reach the right prospective customers really does mean the difference between your brand fading into the background and getting to spend your days defining success on your own terms and getting paid to do the work you love.